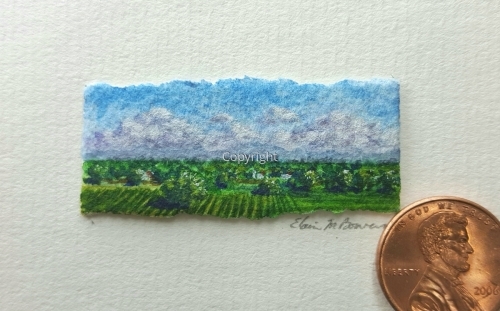 Miniature landscape watercolor of the Sacramento Delta. This painting sold at the Crocker Art Museum fundraiser Big Names Small Art (BNSA). Penny is for size reference only (about the size of a thumbnail). 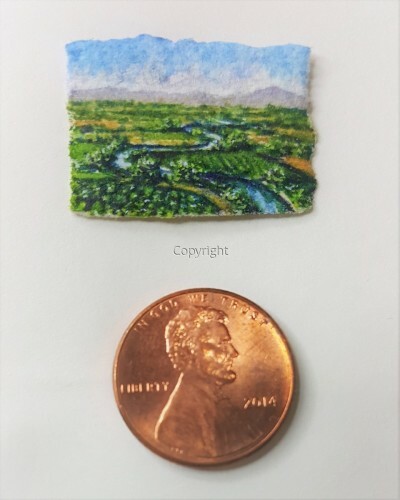 Miniature watercolor of the Sacramento Delta. 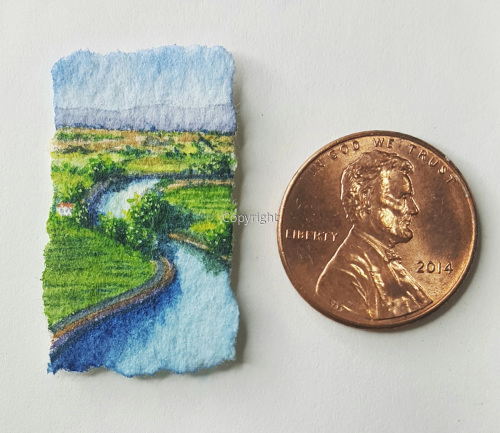 US penny for size reference only (about the size of a thumbnail). This painting sold at the Crocker Art Museum fundraiser Big Names Small Art (BNSA). Miniature watercolor painting of the Sacramento River and Delta.